Super soft 1x1 baby rib knit. Sideseamed, set-in cap sleeves. Classic fit with traditional V-neck. 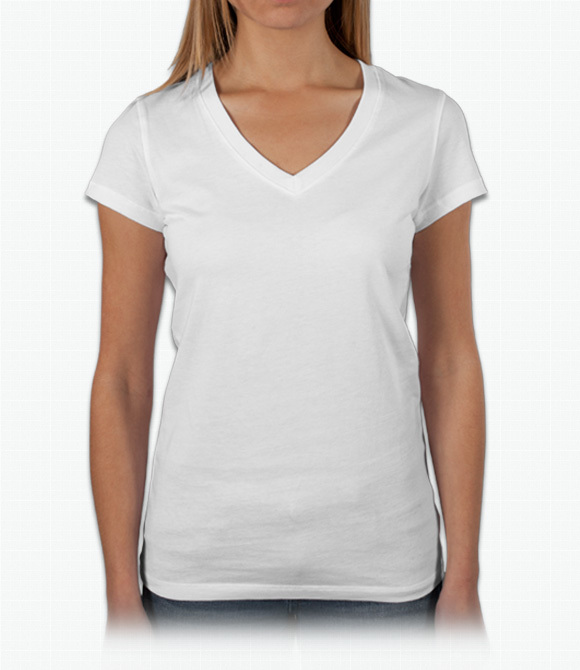 Stylish, slim fit v-neck t-shirt. Made from high quality cotton from a trusted brand. Runs slightly longer than regular shirts. We recommend ordering at least one size up as Bella products run smaller than other brands. "Shirt seems to be of quality, but the "grain" or weave pattern of the fabric makes the image look pretty worn given the image process used. Don't know if this makes for a good shirt option to choose from." "I'm happy with the look and feel of the shirt so far. It's just the logo placement that is awkward and needs to be more centered." "shirt is very nice quality, fit and material. Color is not quite as bright as it appeared in the photo, but still looks pretty good."